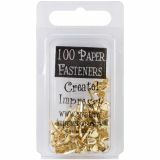 Mini Metal Paper Fasteners 100/Pkg - CREATIVE IMPRESSIONS-Mini Metal Paper Fasteners. These cute heart shaped fasteners will be a perfect addition to any project you want to add them to. 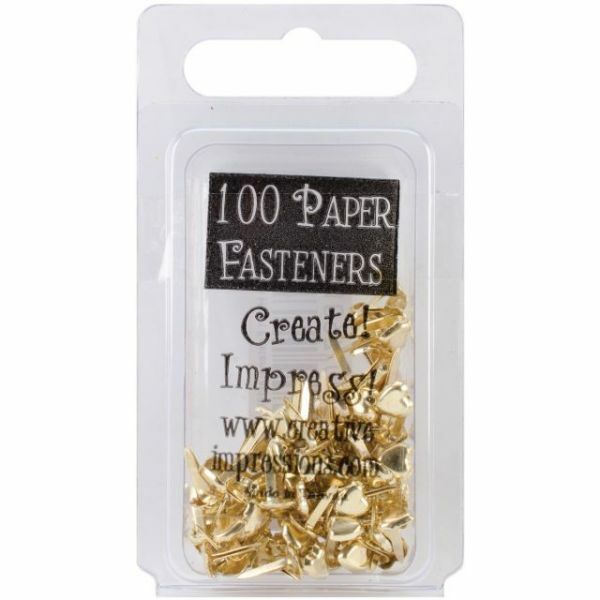 This 1-3/4x3-1/4x1/2 inch package contains 100 fasteners. Design: Gold Hearts. Imported.